Since When is an Apple Pie a Federal Crime? 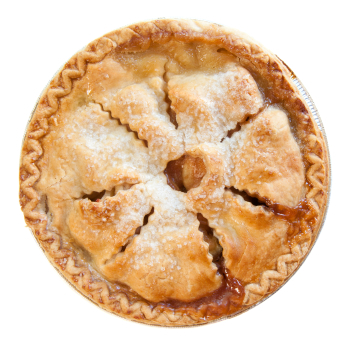 Since when is an apple pie — a symbol of Americana– a federal crime? Well, a federal jury in Grand Rapids, Mi., has indicted two people for hitting Sen. Carl Levin (D-Mi.) with an apple pie during a visit to a cafe in the Michigan town of Big Rapids, Wood 8 TV reported. Ahlam Mohsen and Max Kantar, both 23, are charged with working together to assault Levin on Aug. 16 as he met with constituents at the cafe, Wood 8 reported. One read a statement and the other delivered the pie. The two were charged with forcible assault and for aiding and abetting each other in the assault. The charges carry a maximum sentence of eight years in prison. Posted: 12/31/10 at 9:25 AM under News Story.